Click on the links for photos, drawings, videos and more! 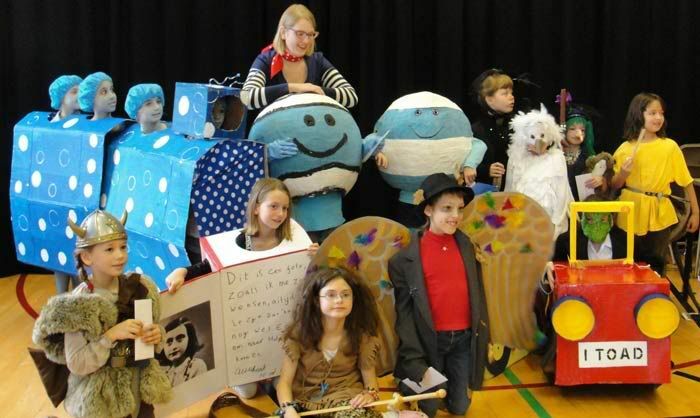 6-7 March: London: World Book Day events at Dunraven Primary School in Streatham (6th), then Forest School in Walthamstow and Haberdashers’ Aske’s Hatcham College Temple Grove Free School in New Cross (7th). Organised and hosted by Pea Green Boat Books. 10am: Dinosaur Firefighters: NEE-NAR, NEE-NAR! Action stations! It’s all in a day’s work for a dippy Diplodocus who joins the Dinoville firefighters – with comic results! 1:30: Reeve & McIntyre present Pugs of the Frozen North: Join writer/illustrator double-act Reeve & McIntyre on a magical journey to the Frozen North, in the company of brave sled-racers, noodle-eating yetis, and 66 pugs. Learn how to draw your own pug, and join in with your ideas to create a wild wacky-races course to the North Pole! (3pm: Reeve presents Railhead & Mortal Engines): Philip Reeve creates wild and wonderful fantasy worlds – from the city-eat-city world of Mortal Engines, which has recently been brought to the screen by Peter Jackson, to the far-flung future worlds of Railhead, which are linked by interstellar trains. 28 July, Saltash, Cornwall: Port Eliot Festival, 12-1: The Reeve & McIntyre Pugs Roadshow, 2:30-3:30: Dinosaur Firefighters! 3 June: Gloucestershire, Fairford Festival: Bunnies vs Dinosaurs! 2 June: Hay-on-Wye, Hay Festival, 10am: Bunnies vs Dinosaurs! 20 Nov: Hove, The Book Nook, 4pm: Book signing with Philip Reeve and a chance to meet the cast from his Ministry of Biscuits running in December at Brighton’s Lantern Theatre. 28 Feb, 29 March: Stratford-upon-Avon: Visits to Wolverton Primary and Hampton Lucy primary schools for Stratford Lit Fest’s ‘My Author Project’, as festival Guest Director (photos from Wolverton, photos from Hampton Lucy) Visited each school and introduced them to Jinks & O’Hare Funfair Repair, then returned a month later to see the work they’d created, inspired by the books and my previous visit. Publication of our picture book with Emirates Airlines, Monkey on a Plane!. Read our book online here! 27 Oct – 6 N: NORWAY – Pugs of the Frozen North! 12 noon – Monster drawing workshop! 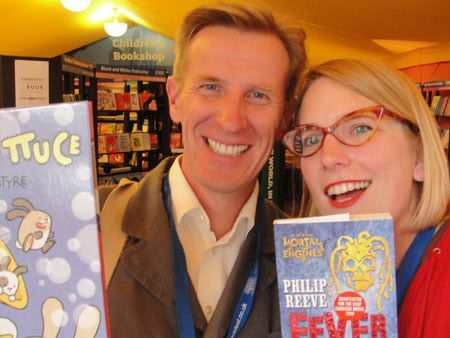 1 Oct: Marlborough: Marlborough Lit Fest, Illustration Professional event at the White Horse Bookshop; Jinks & O’Hare Funfair Repair stage event with co-author Philip Reeve in the Town Hall. 9 – 13 May: Scottish Book Trust book tour: sharing illustration tips and her new book Pugs of the Frozen North with over 1,600 pupils in the Highlands. The tour was sponsored by Scottish Friendly Assurance and organised by Scottish Book Trust. Every year schools in up to 12 local authorities in Scotland and two in England receive author visits to inspire a love of reading, writing and illustration. The tour visits both primary and secondary schools and has enthralled over 70,000 children since it began in 1998. Special guest appearance by my husband as Professor Snowstorm! 30 Nov, London, Author Day, hosted by The Bookseller magazine and FutureBook. 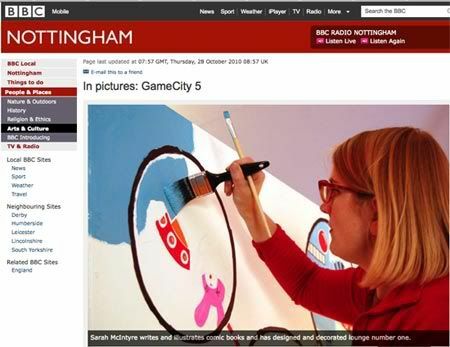 Spoke about #PicturesMeanBusiness campaign to get illustrators properly credited for their work. 1-8 Nov, Norway, Pugs of the Frozen North and Dinosaur Police events at schools all over the island of Karmøy, for SILK book festival. Multiple blog posts: Day 1, Days 2 & 3 (Torvasted Primary School, Avaldsnes School, Sevland School, Kvalavåg Montessori School), Day 4 (Kopervik School), Day 5 (Haugaland vocational college in Haugesund), Day 6 (Skudeneshavn Upper School, Skudeneshavn Primary School, Sørhåland Private School), Day 7 (some drawings), Day 7 (festival event). 31 Oct, London, Jampires window painting with David O’Connell at Gosh Comics in Soho. 16-18 Oct, Kendal, PUGS ROADSHOW hits the Lakes International Comic Art Festival! 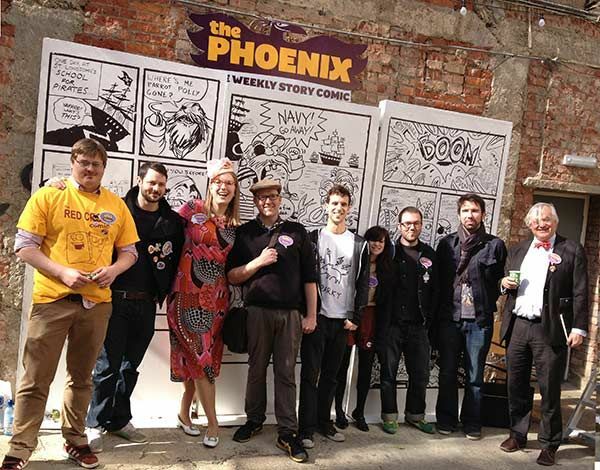 Events featuring Pugs of the Frozen North, Dinosaur Police and a Comic Jam. 28 Sept – 4 Oct, PUGS ROADSHOW blog part 1, part 2 – including Bath Kids Lit Fest, Cheltenham Lit Fest and visits to Simply Books, Peters Books Showroom, Earls High School, Stockport Grammar School, Greenbank Prep School, Olive Hill Primary School, Newfield Park Primary School, Butler’s Court School, Pinkwell Primary School, Buckhurst Hill Primary School and Alderton Junior School. 17 Sept, London Pug Walk! 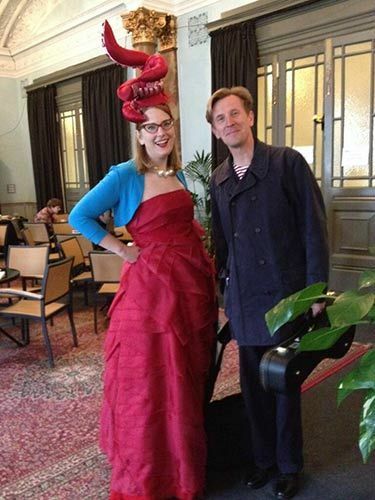 Writer Philip Reeve and illustrator Sarah McIntyre talked about their collaborative partnership and how they have worked with other writers and illustrators. Do publishers help or hinder artistic relationships by keeping writers and illustrators apart? Are suggestions, from either side of the fence, ever welcome? 15 & 16 Nov, Leeds, Thought Bubble Comics Festival: Jampires present COMICS JAMTASTIC! Ran the family activity area with my Jampires co-author David O’Connell. 16-19 Oct, Kendal, Lakes International Comic Art Festival: Seven of us each created a book in 24 hours! Read my 24-Hour Comic Marathon book, Scribble, here. And find out what it was like to make it here. 13 Sept, London, CAKES IN SPACE launch at Daunt Books Marylebone, with Philip Reeve and Oxford University Press. 21-21 Aug, Edinburgh, Edinburgh Book Festival: two Cakes in Space events with Philip Reeve (one for schools, one public), Outreach visits to Kirkcaldy West Primary School, Valley Primary School and Wester Hailes Library. Summer Reading Challenge medal presentation at Leith Library, sponsored by the Reading Agency and Tesco Bank. This year I was the Summer Reading Challenge illustrator! Find out more on the website and Facebook page. Here are some of my ideas for running your own workshops! 10 Dec, London, Presented the Roald Dahl Funny Prize with fellow judges Michael Rosen, Marina Hyde, Jamie Thomson and John Kearns. 22-23 Nov, Leeds, Thought Bubble Comic Festival. Presented the Young People’s Comic Award on Friday and the British Comics Award on Saturday evening. 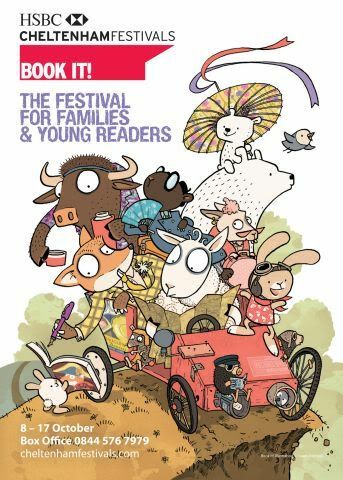 25-27 Aug, Edinburgh, Edinburgh Book Festival: four events featuring Oliver and the Seawigs with Philip Reeve, and Superkid. 5 July – Seldovia, Alaska – Read my Alaska travel comic here! 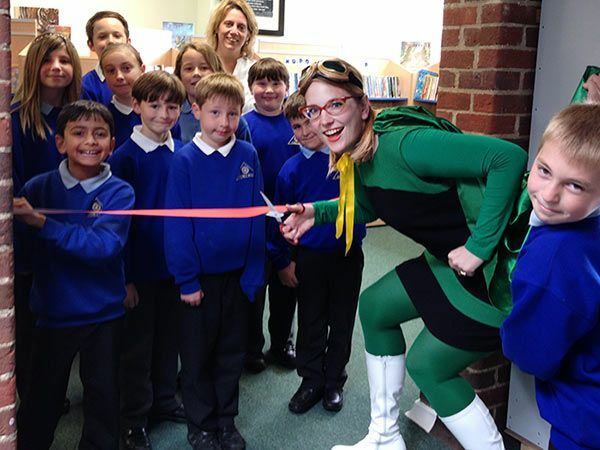 11 June, Andover, Portway Junior School: Opened new Fiction Library and led three SUPERKID-themed school assemblies. 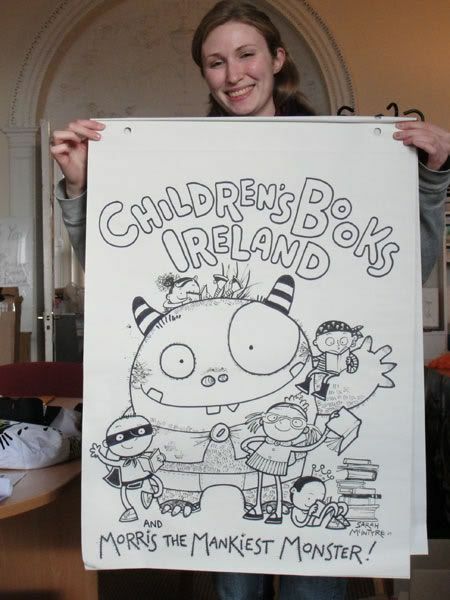 17 -23 May, Dublin, CBI Ireland visit in partnership with Dublin Writers Festival, collaborating with Children’s Laureate na nÓg Niamh Sharkey & Hervé Tullet. Many blog posts! Part 1, Part 2, Part 3, Part 4, Part 5, Part 6, Part 7, Part 8! 4 May, Oxford, The Oxford Children’s Comic Festival, led a Comics Jam workshop and took part in a giant Comics Jam! 19-20 April, Chipping Norton, Chipping Norton Literary Festival (Chip Lit Fest) Superkid: Silliest Superheroes! 15 Jan, Worcester Park, Green Lane Primary School Arts week. Workshops and amazing book festival – click here get ideas for how to use my books in schools! 6 Jan, When Titus Took the Train on CBeebies! 13 Nov, London, Society of Authors: FUTURES OF PUBLISHING. Chaired event with Gary Northfield, Nana Li, Jamie Smartand Alex Milway. 14-16 Sept, Reading, Society of Authors CWIG Conference: Joined-up Reading. Chaired a panel about literary festivals and gave a talk, My Love Affair with the Internet: How do you turn blogging and social media away from being a time-consuming chore into something exciting that inspires your own work? Writer and illustrator Sarah McIntyre will take you on a fun tour of her own web-based adventures and share tips on using the web to reach the wider world, build warm, real-life community and, of course, sell books. 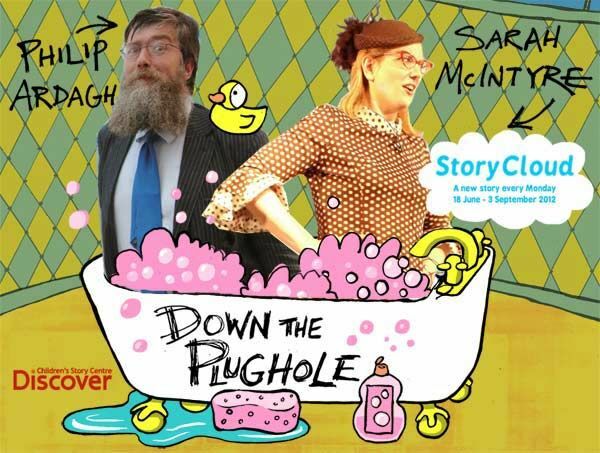 22 July, London, Discover Children’s Story Centre, Storylab Event with Philip Ardagh, introducing our online interactive story, Down the Plug Hole. Part of the London 2012 Cultural Olympiad. 2 July, London, The Sun Comes Out on Moon Lane festival, Together with David Maybury of Children’s Books Ireland, Chris Haughton, Gary Northfield, Bruce Ingman, Chris Judge, Alex Milway and 50 children, we turned Tales on Moon Lane Bookshop into a giant picture book. 30 June, London, Pop Up Festival. Curated one of the event venues, the Comics Big-Top of Awesome, bringing in Jamie Smart, Gary Northfield, Nana Li, Neill Cameron, Jamie Littler, David O’Connell, Zoom Rockman and comics delegates from Winchester House School. June 17, London, Discover Children’s Story Centre. Launching StoryCloud online story Olympiad with story co-creator Philip Ardagh. 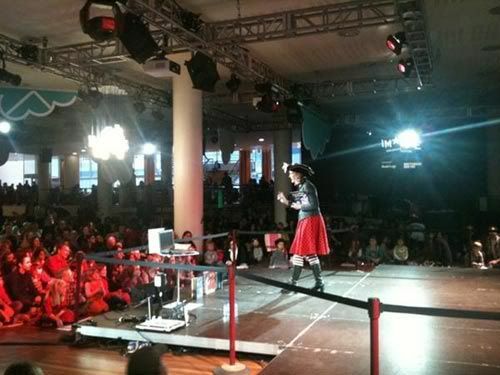 June 14, Coventry, Pirate event at Literally Coventry, the city’s first book festival. June 3, 8-9, Hay-on-Wye, Hay Festival. Solo Pirate event, Nelson comics anthology panel, Giant Comic Consequences game with Philip Reeve & Martin Brown, Goblins event with Philip Reeve. May 26, London, Rolf Paints: The Diamond Jubilee. BBC celebrations with Rolf Harris, Anneka Rice and 59 other artists in the Vaults of the Old Vic. Aired on Jubilee Tuesday, BBC1, 6:30-7:30pm. May 22, London, Worlds of Tomorrow: the Rise of Science Fiction in Children’s & YA. Foyles Charing Cross. Hosted a panel with Philip Reeve, with guests Moira Young, Steve Cole, Kim Lakin-Smith and Jared Shurin of The Kitschies Awards. A Society of Authors event. Jan 4 & 5, Paris, Paris Manga & Sci-Fi Show with Emma Vieceli (creator of Dragon Heir) at Aaltair book stall. Click here to read the rest of the travel comic! Sept 29, London, The British Library: spoke about blogging at The Bookseller Conference, ‘My Love Affair with the Internet‘. Brighton: Took part in a panel with the Brighton Illustrators Group, also about blogging. 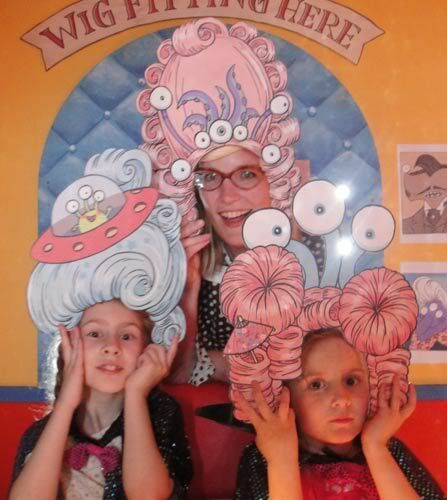 May 28, London, Stratford Discover Centre – MONSTERVILLE Grand Opening! Jan 28, Battersea, London, Newton Prep school, Wild Railway Adventure! 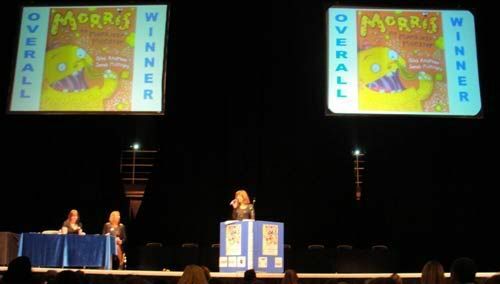 Nov 23, Sheffield Accepted Best Picture Book and Best Overall Book awards at the Sheffield Children’s Book Award Ceremony; included library workshop. Nov 6, Oxford, Oxford Children’s Book Group open conference, Oxford University Press: Presentation with writer/illustrator Layn Marlow on Hopping the Gap Between Words and Pictures. Other speakers included writers Philip Pullman & Mary Hoffman. Oct 25, London, Foyles Bookshop, Charing Cross Road, Fearfest, Kids made monsters! 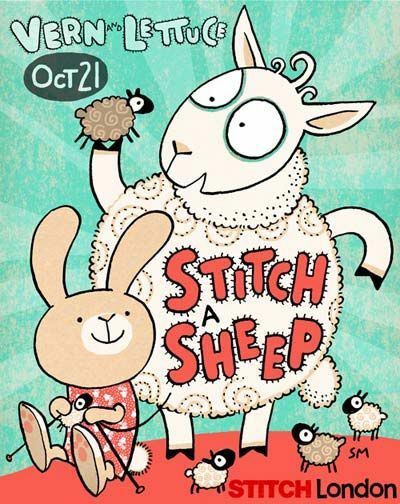 Oct 21, London, Stitch-a-Sheep Vern and Lettuce launch party!!! Sarah McIntyre loves monsters and aliens — they feature in many of her books such as Morris the Mankiest Monster and You Can’t Eat a Princess. 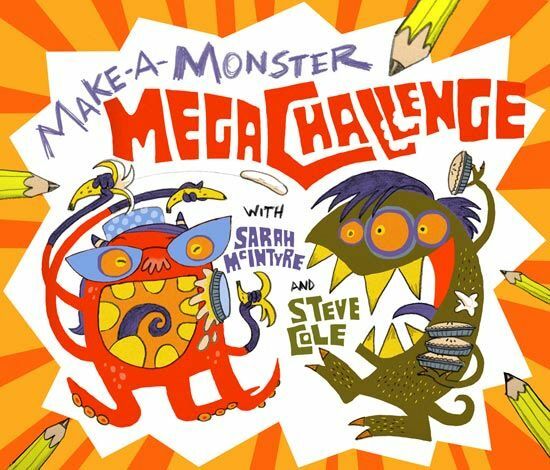 Listen to stories, join in the action and make your own monster to take home! Come dressed as an alien or monster, too! Bring your own pen and a lot of gusto for this action-packed comic book making workshop with Sarah McIntyre, the inventor of the Pickle Rye world, home to Lettuce the rabbit and Vern the sheep. Her artwork is laced with silliness and humour; no wonder she’s one of the original Fleece Station artists, a collective whose grand title derives from their love of drawing… sheep! Oct 12-14, Ireland Comics workshops with studio mate Gary Northfield in conjunction with Children’s Books Ireland. Visited Ceibridge, Maynooth, Leixlip, Naas, Newbridge, Athy, Trim, and Dunshauglin libraries. Appeared on Elev8 (RTE2’s show for young people) in a live half-hour slot. Making Friends with Aliens! 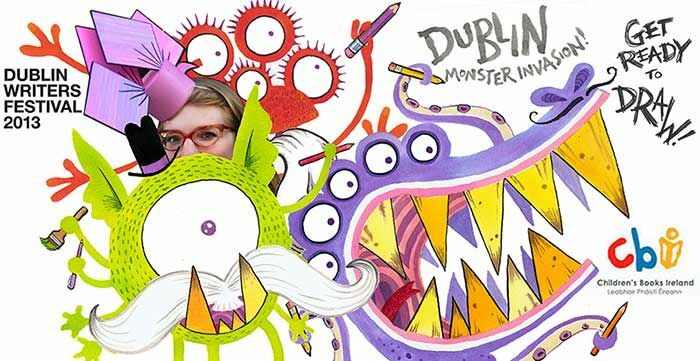 Join Illustrator and comics creator Sarah McIntyre as she introduces you to her alien and monster friends in an action-packed, interactive drawing event! Come and learn Sarah’s secret tips on how to invent funny or scary characters and then make them come alive in your very own book. everyone came away with their own self-published comic book! 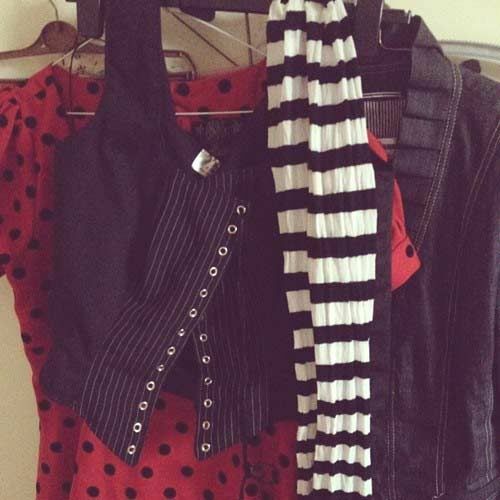 Suited to both children and adults. 24th, 11:30am – 12:30pm workshop, RBS Tent, Ages 5 – 7: Monsters & Aliens Let Loose! Tentacles! Googly Eyes! Join the illustrator of You Can’t Eat a Princess! and Morris the Mankiest Monster for character design madness. Programme write-up: Illustrator Sarah McIntyre is master of the Pickle Rye world, the home patch of Lettuce the rabbit and Vern the sheep. Her artwork oozes silliness and humour; no wonder she’s one of the original Fleece Station artists, a collective whose grand title derives from their love of drawing… sheep! Her work featured in The Guardian and is now published by DFC – bring your own pen and a lot of gusto for the launch of this new title. 25th, 10 – 11am, RBS Workshop Tent, ages 7-9 Comics Jam with Vern and Lettuce! 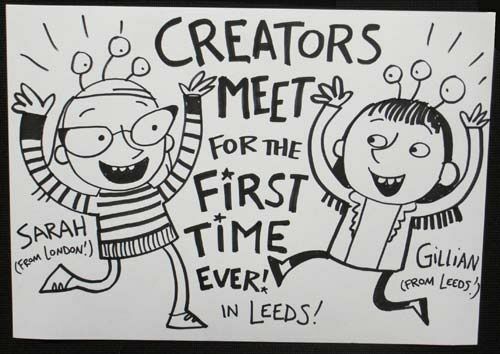 11-1pm (11-14 year-olds) Comics Jam Session: Meet up with other people who love making comics to take part in an interactive comics making session. Learn how creating comics collaboratively can help overcome writer’s block, inject your stories with fresh material and send your characters flying off in directions you never could have imagined. See some of Sarah’s comics jams and learn how her recent comics jam with a friend got her a book deal with a major comics publisher. Feel free to bring along your questions and your portfolio for critique and feedback. 2-4pm (8-10 year-olds) Comics Jam Session: Just like a musical jam session, comics are great fun to make together with other people. Come design characters and set them flying in directions you never could have predicted with this interactive comics game, which can be played again and again, always with new outcomes. Then pull the ideas together to make your comic, put together your own book and learn how you can self-publish it with a minimum of cost or materials. 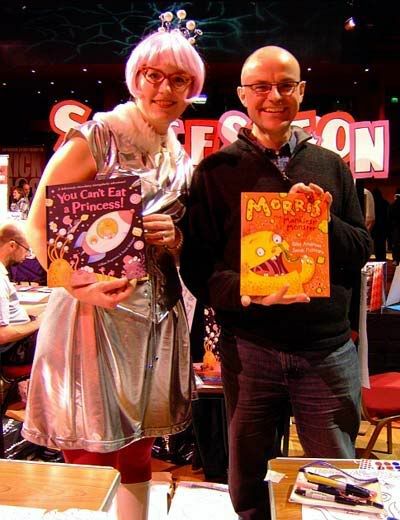 Aug 6: London Cartoon Museum (8-10 year-olds) 11-1pm : Comics Character Design: Hungry aliens, a manky monster, and a whole host of animals who live in a city tower block have all had starred in Sarah’s books and comics. Meet some of Sarah’s characters and learn her secret tips on how to create exciting characters that will drive your story forward. Then make your own book! July 20-21: Leicester You Can’t Eat a Princess! Space Hop Summer Reading Challenge events at St Barnabas, Beaumont Leys and Evington libraries. Plus a hop on Eric the Book Bus! July 8: London Society of Children’s Book Writers & Illustrators Professional Series, talk with David Fickling. 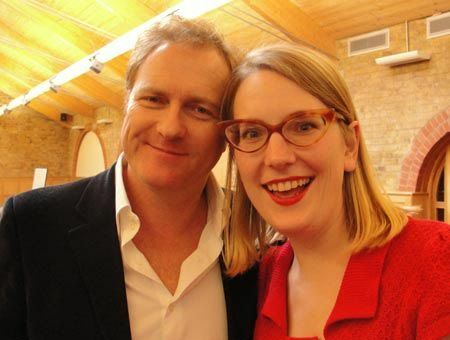 Theodore Bullfrog pub: Publisher David Fickling and Sarah revealed how they took a revolting manuscript that spent 12 years being turned down by 15 editors and refused by 10 publishers to come up with the lovable – and still absolutely disgusting – character that is Morris. As an added bonus, they also discussed the comic book they are releasing together this autumn as part of the DFC Library series, Vern and Lettuce, and explained how strong character development has been essential to making both books come alive. May 28 & 29: London MCM Expo, ExCel Centre, sharing a table with the rest of the Fleece Station! Read about it and see nutty cosplay photos here! March 27 & 28: Inverness Highlands International Comic Expo (or ‘Hi-Ex’). Activity table and workshop with studio mate Gary Northfield. Report and photos here. March : Leicester schools book festival, part of the city’s £1m Whatever It Takes reading campaign to help improve achievement in schools. March 4&5: London The Discover Centre, Stratford, workshop reports here and here. 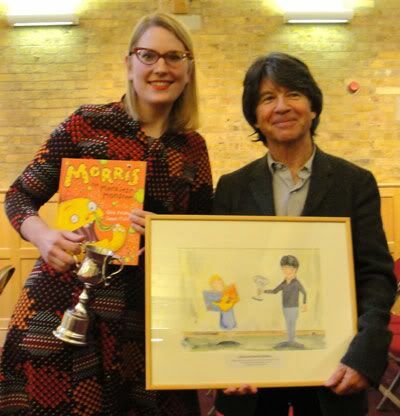 Feb 9: Bishop’s Stortford, Presentation by Children’s Laureate Anthony Browne of the Bishop’s Stortford Picture Book Award 2010 for Morris the Mankiest Monster. Photos here and here. Nov 21 (Saturday): Wigtown, Dumfriesshire, Box of Frogs bookshop. 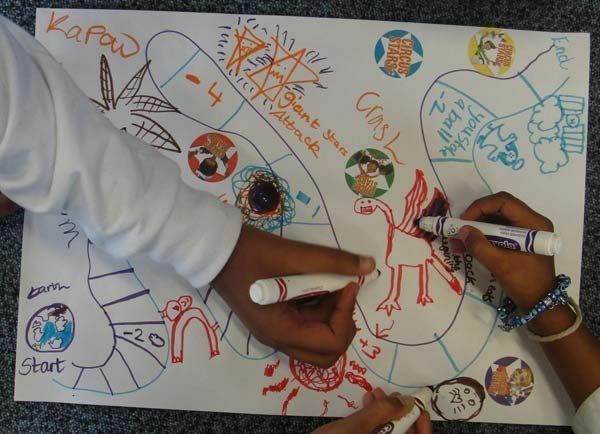 Photos and write-up of our ‘Make your own Monster’ session. Nov 14 (Saturday): London Panel with Emma Vieceli and John Dunning, chaired by Ariel Kahn. British IBBY/NCRCL MA Conference on the theme GOING GRAPHIC: COMICS AND GRAPHIC NOVELS FOR YOUNG PEOPLE, Froebel College, Roehampton University. Nov 7: London Camberwell arts & crafts fair at the Well Community Church hall. Nov 6: London Little Pencil at the ICA, part of November’s Comica Festival. Children watched animations in the cinema, then spent time with me drawing along to my music playlist selection, taking inspiration from the music. Oct 25: Cambridge Women in Comics Conference, on a panel with Asia Alfasi and Sarah Zaidan. My talk was titled Comics and Picture Books: women bridging the gap. Oct 24: London MCM Expo. Costumed craziness. Oct 21: Havering 2 comics workshops with Gary Northfield at South Hornchurch Library and Newton’s Primary School. Have the boundaries between comics and picture books shifted in recent years? Sarah McIntyre discussed exciting opportunities she has noticed in crossover works and publisher interest, exploring the potential for comics creators to tap into both industry categories to support themselves and inject their own work with fresh energy. Also appeared on a panel with Jenni Scott and Shane Chebbo and Sean Azzopardi () from 4-5pm on Saturday the 15th. June 19: Institute of Education, University of London. Between the covers’: improving literacy through bookmaking; led a seminar with Nikki Gamble. May 23: London MCM Expo, ExCel Centre. More photos here and here! April 25: The Crystal Palace Children’s Book Festival. DFC comics workshops and exhibition.